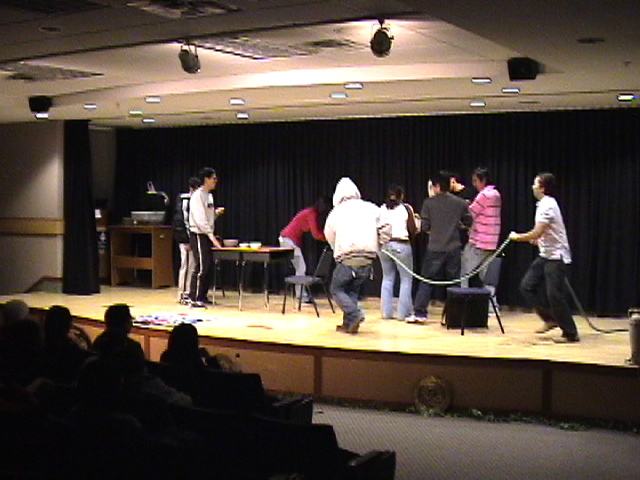 In the fall of 2005, my high-intermediate ESL class organized a group of scenes which dealt with some of the issues they felt a challenge for international students living in the U.S. Thus, was born LIVING IN AMERICA. 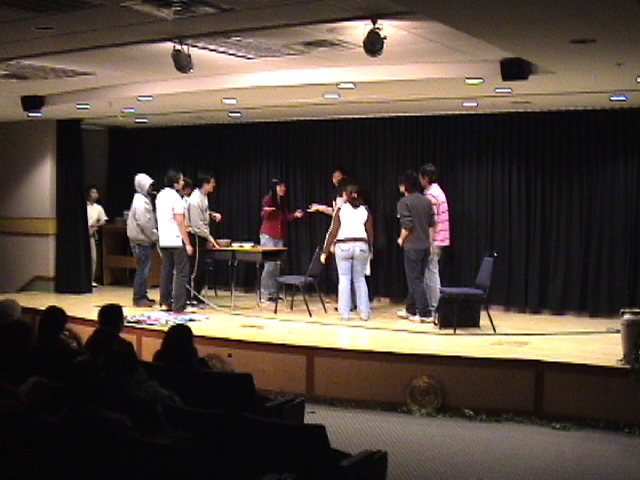 The play again was structured through improvisation, the process being to brainstorm for ideas of a topic, select the topic, divide into groups to work on a scenario to demonstrate the issue, rehearse, show to all, take comments, feedback, shape and revise, show again till the group felt satisfied, then rehearse the substance to develop a good flow. 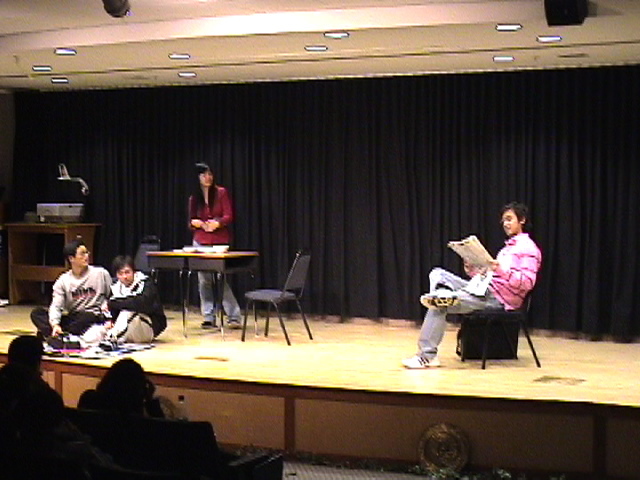 I must note that I have the luxury of being able to use empty classroom space for rehearsals, placing different groups in separate rooms. This facilitates their rehearsals considerably, as each group his its own space to rehearse. 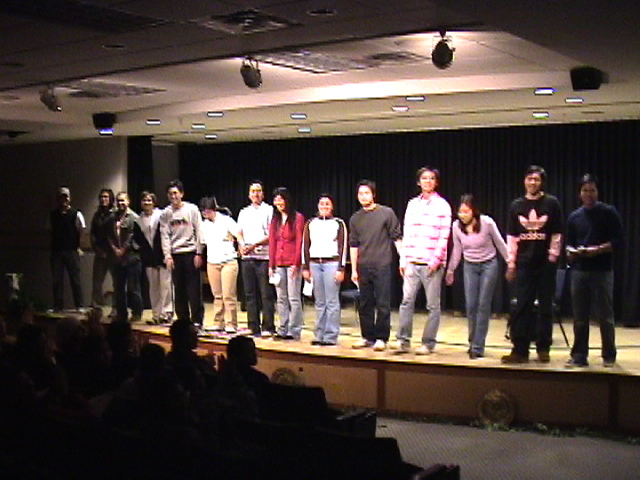 I move from room to room, from group to group, to help clarify the movement and the details of their work, but students create the lion's share! 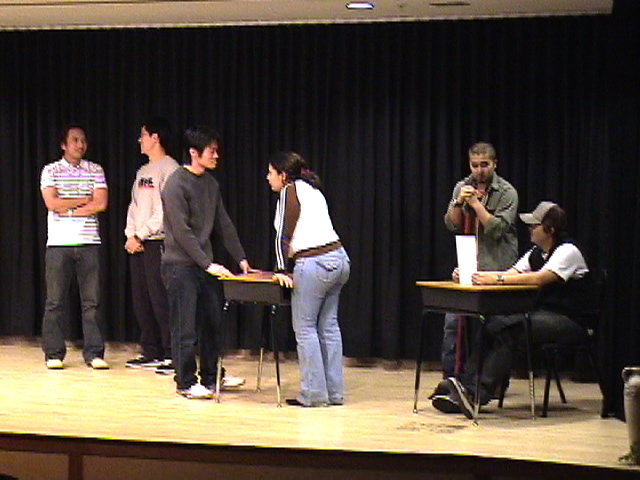 The video clips below show the issues selected and the results of their rehearsals in a short performance for other IEP students.